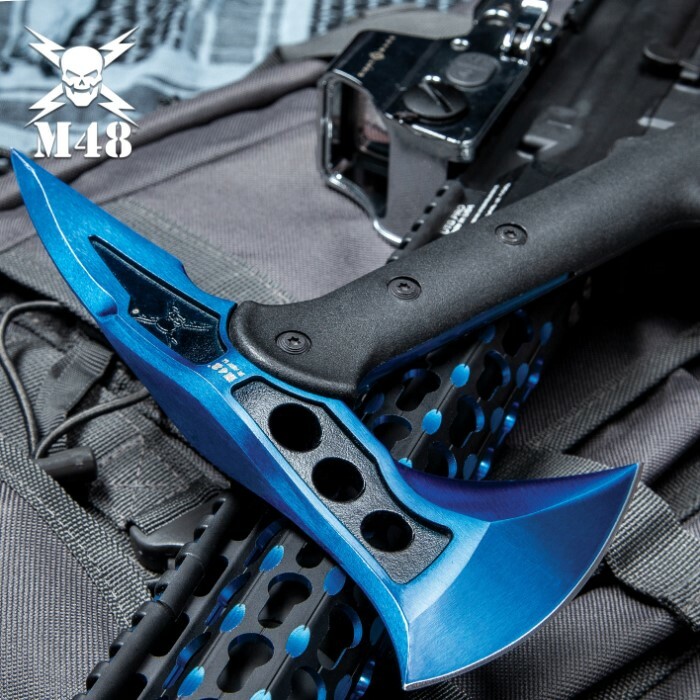 The M48 Blue Tactical Tomahawk Axe is the ultimate lightweight tactical tool - designed to be carried all day without added muscle fatigue. 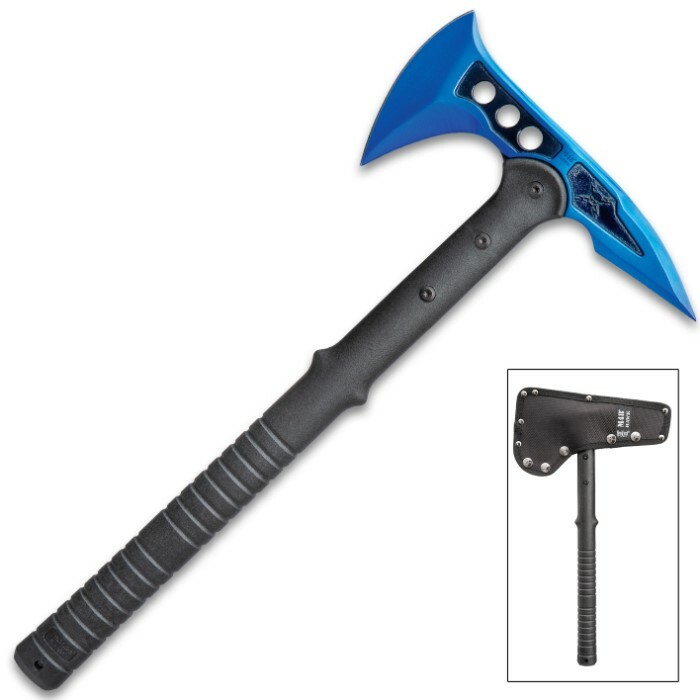 The tomahawk offers a wide, upswept axe blade and a piercing spike on the back end. 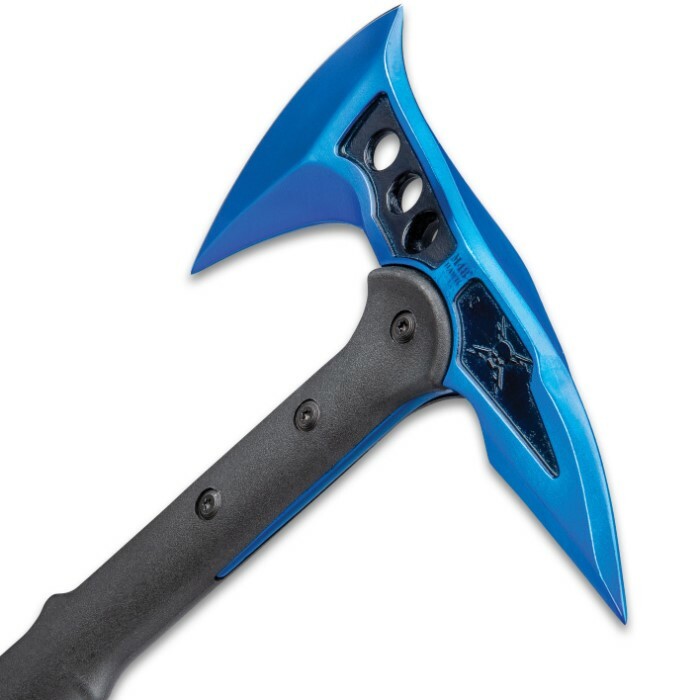 The saturated blue, 8" axe head is attached to the nylon reinforced fiberglass handle with three separate bolts. 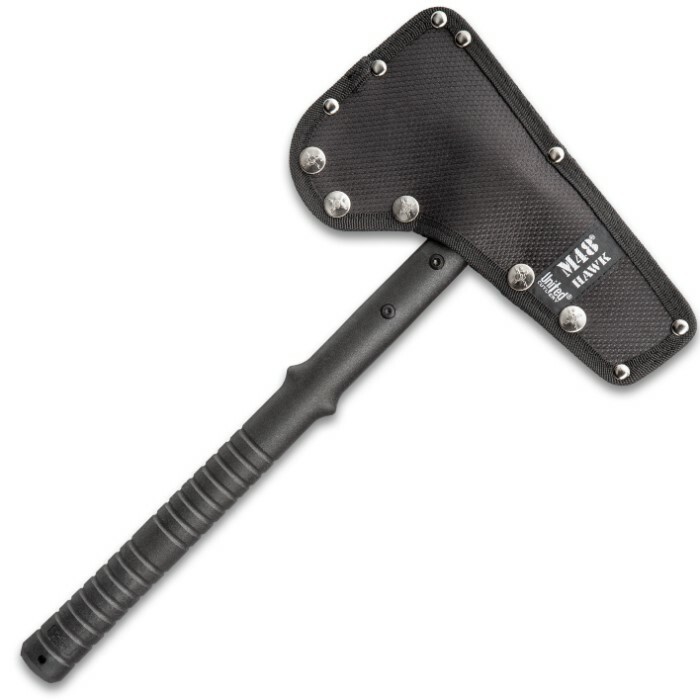 The 3 7/8" 2Cr13 stainless steel blade is precision cast and a durable nylon sheath is included to house the blade. Looking for a tactical tool that really gets the job done? 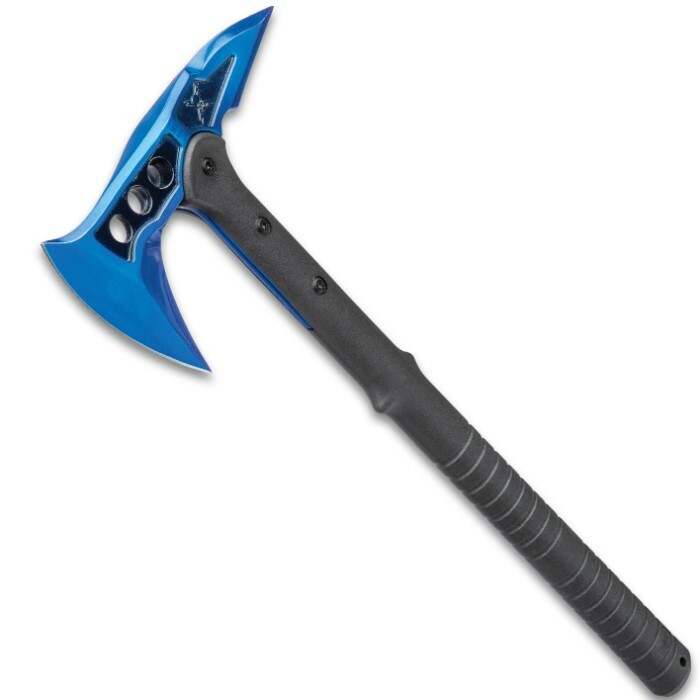 The M48 Blue Tactical Tomahawk Axe is exactly what you’ve been looking for!